Adventure means different things for different people. 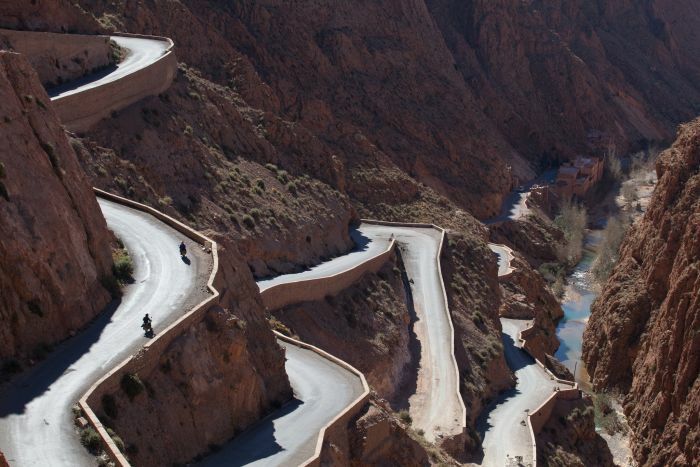 To one person, it may be a tour of Europe, mainly sticking to the black top and kipping in B&Bs, while to another it may be an off-road epic in Morocco. Essentially then, adventure is in the eye of the beholder. Even so, we don’t think there are many who would deny that this interesting little event is a bit crazy. 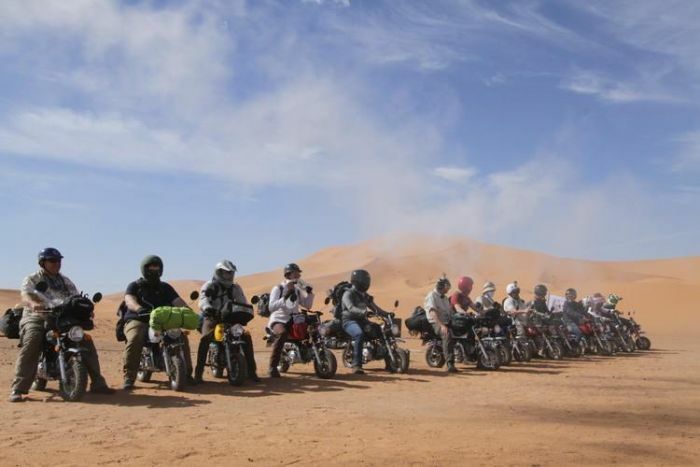 The Monkey Run, organised by the Adventurists, saw its inaugural run earlier this year with 14 plucky individuals being led blindfolded into the Sahara before being told they had to get to a destination on the Atlantic Coast, 620 miles away, in just six days. In itself, it doesn’t necessarily sound like a challenge that would be too troublesome. 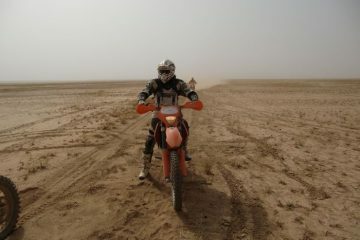 That is, until you realise that they had to complete the journey on 49cc monkey bikes. 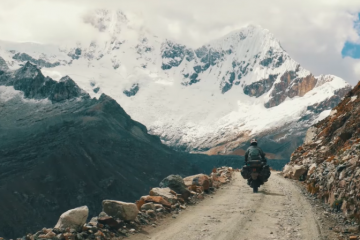 These intriguing little machines are small, rising not much beyond knee height, and are by no means the perfect choice for a long, multi-terrain motorcycle journey. They are certainly not known for their reliability and, as you can guess, don’t pack much of a punch either. 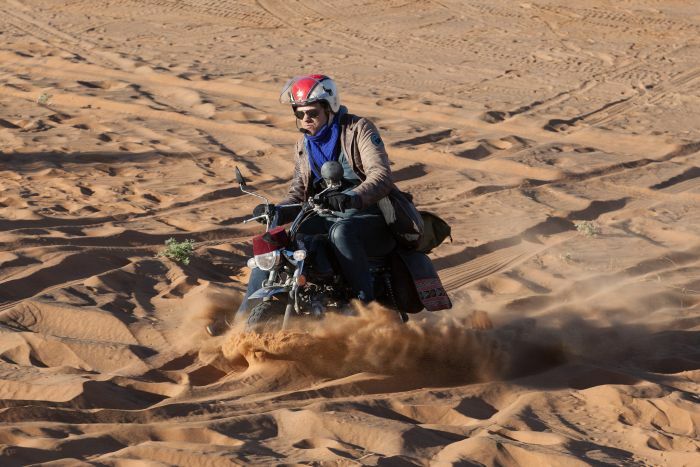 Having said that, the riders of the first ever Monkey Run wouldn’t have had it any other way. 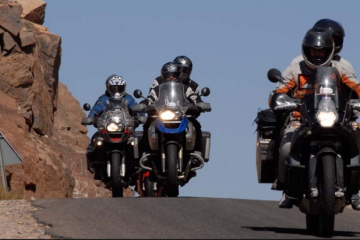 For all of their shortcomings, the monkey bikes proved to be rather adept at nipping through traffic, were light enough to manhandle in the case of any mechanical issues or incidents and ensured the riders didn’t have far to fall when they came off. 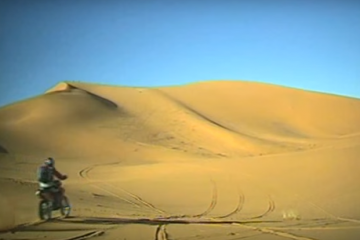 While it might not sound as such to some, the bikes also added a bit of extra fun to the adventure. “Being so low to the ground meant travelling at 20mph felt like racing at 10 times that speed, and they were unwavering in their ability to bring a smile to the faces of all around, whether the riders themselves of those rolling around on the floor laughing as grown men went past on bikes fit for children,” the news release explained. 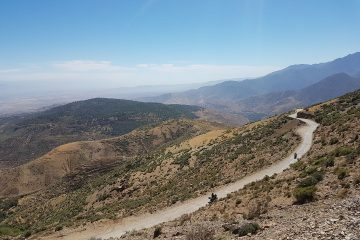 Apart from the challenge of the bikes, the riders also had to find their way to the destination with no predetermined route set out and the Atlas Mountains standing between them and the target. 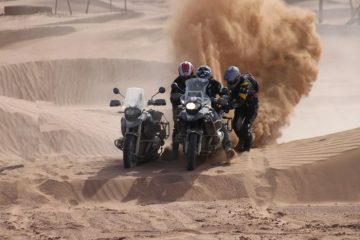 “It didn’t take us long to get lost, around 15 minutes after the start line, since my team mate and me had no maps whatsoever,” said Alvaro Baleato Varela, one of the pioneers on the first Monkey Run. 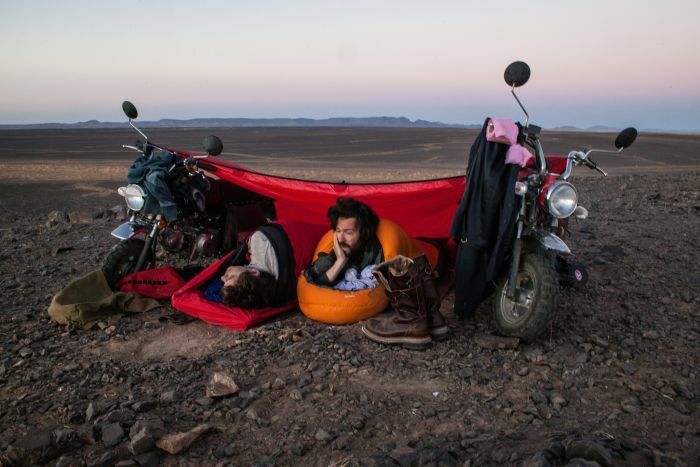 Throughout the journey, the riders were blown away by the vastness and beauty of the desert landscape and made the most of it by sleeping out under the stars in the Atlas Mountains without even a tent for company. With unmarked tracks being the norm, various river crossings, bizarre wildlife encounters and a lot of new friends (especially the local mechanics), this was an adventure not to be forgotten in a hurry. 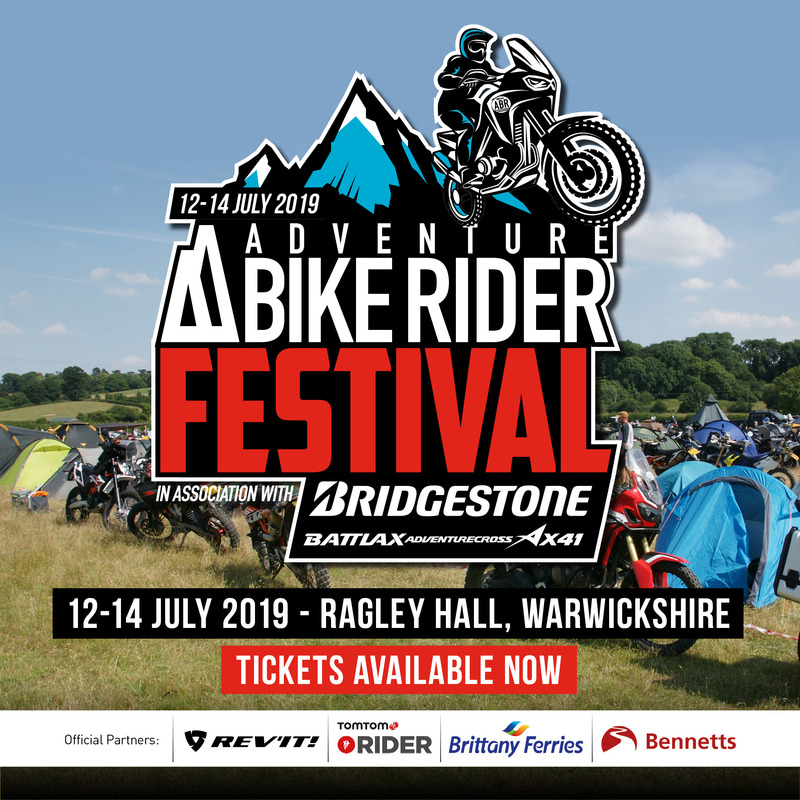 Off of the back of the first successful Monkey Run, the Adventurists plan to run the event bi-annually and they have already sold out for the next one. Head to The Adventurists website for more information about the Monkey Run and the other crazy events they put on.